Al Mouj Muscat is a mixed-use waterfront development in Oman that is a class apart and has no comparable competition. 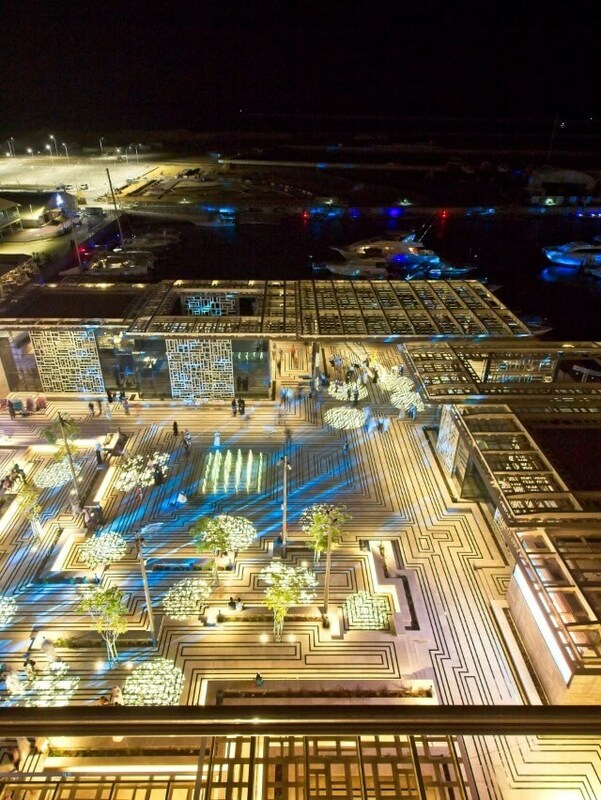 The award-winning master plan defines a luxury lifestyle and leisure destination in the heart of Muscat that naturally connects people, businesses and cultures to create a thriving community that is positively integrated with a sustainable environment. Al Mouj Muscat's high-quality assets include a marina, a golf course and club, international hotels, and residential and retail projects. Delivering Oman’s number one luxury lifestyle and leisure destination that enables people, businesses and cultures to connect and thrive in a well-balanced community that is positively integrated with its facilities in a sustainable environment. Inspired by Oman’s rich history, its seafaring traditions and its warm authentic culture, Al Mouj Muscat is designed as a vibrant cosmopolitan, beachfront residential community, making it truly distinct from the rest of the Arabian Peninsula. Al Mouj Muscat is a joint venture between the UAE-based Majid Al-Futtaim Properties, Oman Tourism Development Company (OMRAN) and Tanmia (Oman National Investments Development Company). Majid Al-Futtaim Properties prides itself on a highly skilled and experienced managerial team, stringent attention to detail and best practices of global standards. Designs and specifications utilize high-end materials combined with the latest developments in modern technology. OMRAN is the executive arm of the Government of Oman for the development of major tourism, heritage and urban developments, delivering some of nation’s most iconic projects in the Sultanate of Oman. TANMIA (Oman National Investments Development Company SAOC) is representing the interests of strategic government stakeholders in Oman.